Don’t worry - we get it; university life is #hard and having to juggle classes, essays, parents checking in, and the idea that you will eventually have to choose a career path can be frightening. Work experience holds more weight than ever before, resulting in academic careers often being accompanied by internships, work experience placements, and sandwich years. Any student knows that the way to an employer’s heart is through your CV. Academic achievements are so important, and graduating with a degree, or even a Master’s will get you far. However, showing employers that you have also worked hands-on within the Psychology field shows that you already possess the necessary skills to work with service users and provide the necessary support. It’s all about getting those skills that are applicable to psychology jobs back home. YAS! No matter the length of your placement, getting work experience allows you to meet colleagues and employers with similar interests, and this could easily result in full-time employment if they’re impressed with your performance. Some companies may also partner with each other to recruit their interns once their placements are over. Keep your eyes peeled, you never know when an opportunity will arise. Taking part in a placement can give you deeper insight into what it means to work in a Psychology-focused environment. Be it clinical, educational, forensic or special needs, you will understand what skills are required of you and what kind of support the service users need. The best way to know if something will fit is to try it on, so if it works, work it! University life can sometimes feel like a bubble, when you live, study and party with the same people. Branching out of this is important, both to meet new people, but to also get a better feel of what working life is like. This will give you greater responsibilities, help you with time management and a bit of new scenery to see. 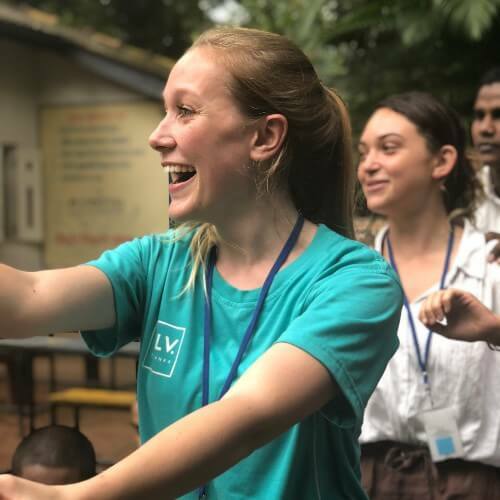 Some placements, like SLV.Global’s, take place abroad and give you a great opportunity to be immersed in a new culture and learn more about how mental health is viewed abroad. Doing so can benefit your ability to work with people who come from diverse cultural background to yourself when your career kicks off. This will make you more employable and increase your understanding of cultural norms. We’re big fans of gaining work experience before, during and after university. The benefits of taking part in a placement are not limited to this list, and you will experience them all first hand by jumping in!